A sewing machine has a lot of parts. Dozens, in fact. And all of those parts—with their strange names and mysterious functions—can be intimidating to a new sewer. But sewing machines aren’t nearly as complicated as they might seem to the uninitiated. And the more you know about the parts of your machine, the less daunting it will be. In this guide, you’ll learn what the parts of your sewing machine are called, and what each part does. 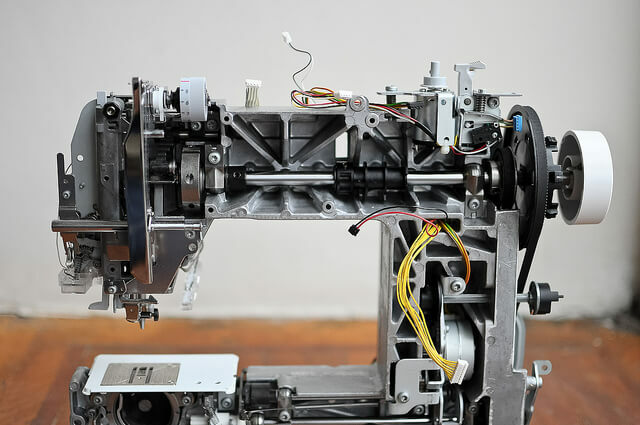 Still, this is a good, basic overview of common sewing machine parts. 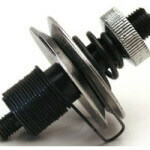 This is the spool for the bottom thread, and is found in the lower part of your sewing machine. On some sewing machines, the bobbins are front-loading, meaning you insert them through the front of the machine. 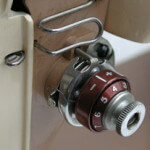 On other sewing machines, the bobbin is drop-in, so the bobbins are inserted through the top of the machine. Bobbin Housing (or Bobbin Case). 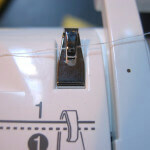 The bobbin housing holds your bobbins inside your sewing machine. Bobbin Winder Tension Disc. 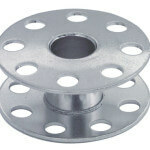 This small metal disc helps to keep the thread taut as you wind a bobbin. Bobbin Winder. 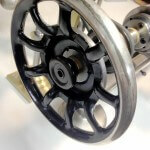 As you wind thread onto your bobbin, the bobbin winder will spin the bobbin. Buttonhole Foot. Automatically determines how big a buttonhole needs to be based on how big the button you’re using for your project is. If you sometimes worry over whether your buttonholes are the right size for your buttons, you’ll definitely appreciate having a buttonhole foot. Feed Dogs. These small, metal ridges are found in the middle of the throat plate (which you’ll learn about later). 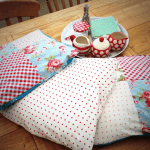 The feed dogs are what pull your fabric through your sewing machine for you. How fast the feed dogs move the fabric through the machine will depend on how much pressure you are putting on the foot pedal. The harder you press down on the pedal, the faster your fabric will move. Flywheel (or Hand Wheel). 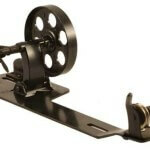 The flywheel allows you to manually lower and raise the sewing machine’s needle. When you’re setting up a project to start sewing it, you’ll lower the flywheel in order to lower the needle into the fabric. When you’re ready to remove the project from the sewing machine, you’ll raise the flywheel to remove the needle from the fabric. 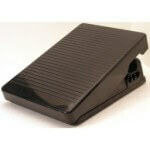 Foot Pedal. 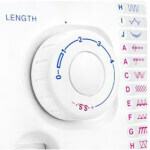 Controls the speed at which your sewing machine makes stitches. 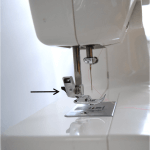 Press down harder on the pedal to make the machine stitch faster. 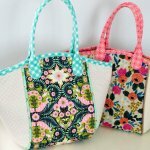 Ease up on the pedal for slower stitching. The needle is what puts the thread through the fabric. 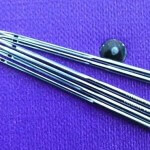 Sewing machine needles come in many different sizes, and the needle you use will depend on the fabric you are sewing at any given time. Needle Clamp (or Needle Bar). 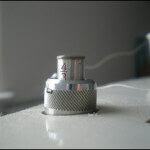 This is what holds the needle straight and steady in the sewing machine. Needle (or Throat) Plate. The needle plate is the flat, metal plate under the needle that covers the bobbin. 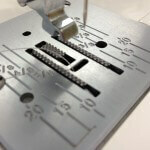 When you’re making stitches, the needle goes down through the needle plate. 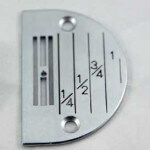 The needle plate has marks that act as seam guides. These allow you to gauge how far your stitches are from the edge of your fabric. Power Switch. 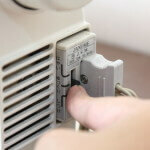 What you use to turn the sewing machine on and off. On many sewing machines, this switch is found near the power cord, and is probably attached to the pedal. 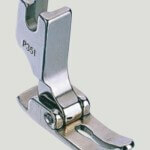 Presser Foot. Found below the needle, the presser foot presses the fabric down against the feed dogs, which helps to keep the fabric from slipping. 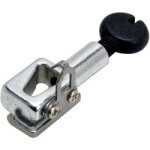 You can find both plastic and metal presser feet. Presser feet are also interchangeable. 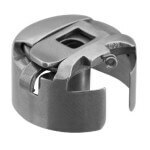 You can switch out your general purpose presser foot for a presser foot specially designed for specific sewing jobs (like making buttonholes and sewing zippers). Don’t be surprised if a single sewing project, especially if it’s a more advanced project, requires more than one type of presser foot. Presser Foot Lever. The part of your sewing machine that raises and lowers the presser foot. Pressure Regulator. Controls the amount of pressure use by the presser foot to hold the fabric down against the feed dogs. 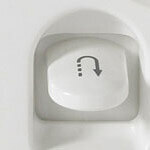 Reverse Switch (or Reverse Button). Use the reverse switch when you need to sew in reverse. Among other things, backstitching can make your seams more stable. 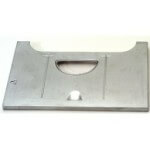 Slide Plate. If you need access to the bobbin, you open the slide plate. Spool Pin (or Spool Holder). A spindle on top of your sewing machine that holds a spool of thread. 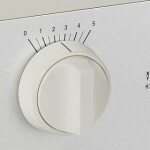 Stitch Length Selector (or Stitch Length Regulator). Allows you to choose how long your stitches will be. Stitch Selector. 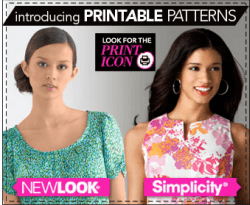 Allows you to choose the specific stitch you want to use for your project. 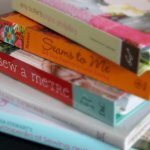 Different projects will require different stitches. 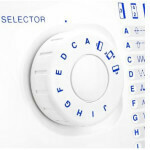 You can also use the stitch selector to select one of the decorative stitches built into your sewing machine. Stitch Width Selector (or Stitch Width Regulator). Allows you to adjust the width of your stitches. Thread Take-Up Lever. 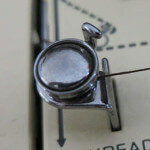 One of the many parts of your sewing machine that will help to keep the thread taught while you sew. The thread take-up lever is the part of the machine that creates stitches by raising and lowering the thread. It also controls the flow of the thread. Tension Discs. Help regulate the tension of your thread. Tension Regulator. 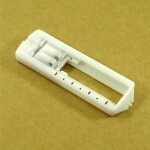 Allows you to raise and lower the tension of both the top thread and the bobbin thread in your sewing machine. The level of tension will determine how tight your stitches are. Thread Cutter. Allows you to quickly and easily cut your thread without having to reach for a pair of scissors. Thread Guides. 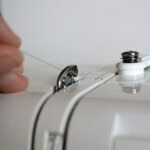 The thread guides show your where to put your thread on your sewing machine, and make sure the thread stays in place while you’re sewing. 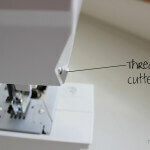 Thread guides also help keep the thread from getting tangled up inside your sewing machine. Good suggestion. Working on it. 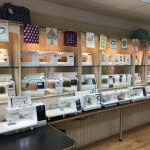 I am looking to buy a sewing machine for my daughter for her Birthday. She is a Production Design major with a concentration in costumes. Her machine will be used for personal sewing/projects but also to make costume creations made from a variety of fabrics/weights. She is not an accomplished seamstress at this point, but has been trained in the basics and has used machines at school and home. What type of machine would you recommend? It would be an excellent machine for your daughter’s needs. How do I repair my tension disc whose spring removed. I have a singer sewing machine 5808c, I heard what was a spring come off from underneath my machine. Now I don’t where it came from or how to fix it. HELP! So Dissapointed. I thought I was going to learn the parts and intracies of the photo of the INSIDES of the machine. 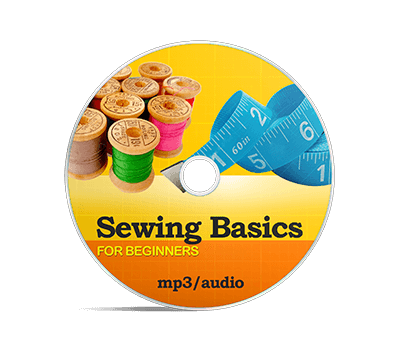 Not the basics that every new or older seamstress knows!